A couple of weekends ago we decided to stay local. We wanted to save up a little cash flow by staying in for the weekend and maybe grabbing a movie or something. 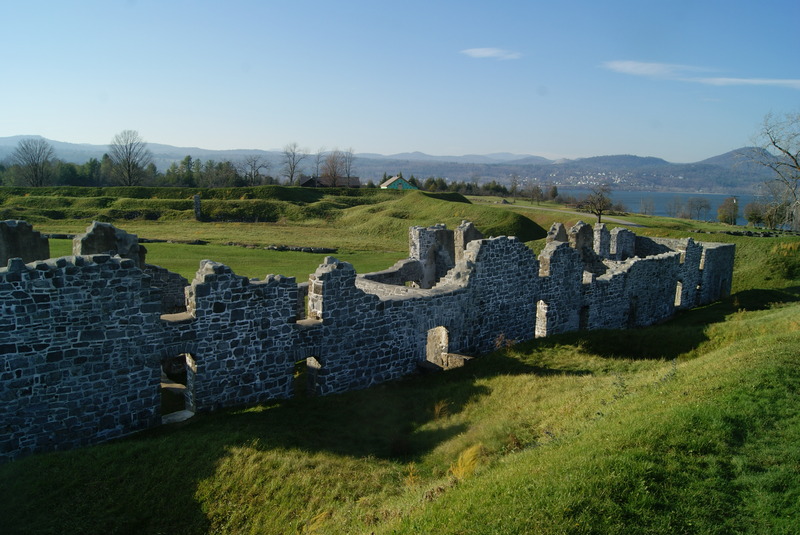 We ended up driving through Western Vermont until we crossed the new Lake Champlain bridge and explored Fort Crown Point on the New York side of Lake Champlain. I guess we just can’t sit still. We may not have stayed local, but exploring the ruins of one of America’s oldest forts was actually completely free. 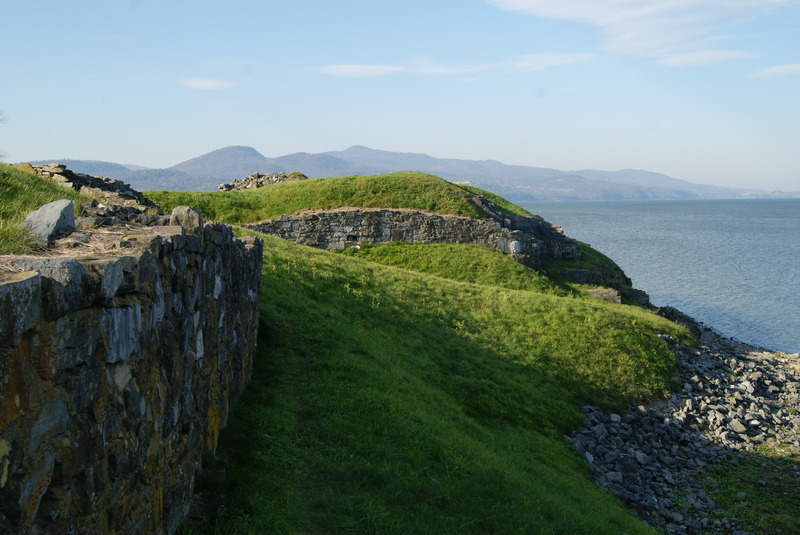 For just a moment, as I looked out over Lake Champlain and the rolling green hills from crumbling, 18th century fort ruins, I was reminded of ruins along the craggly, deep green coast of Ireland. 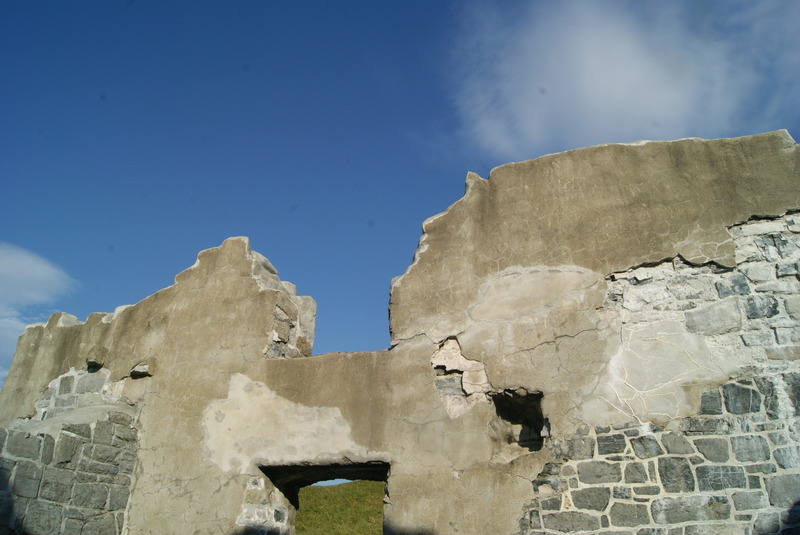 This fort was originally built by the French in the 1730’s out of limestone. Although frequently targeted by the British during the French and Indian War, the French held on to it until 1759 when they destroyed it. Then, in 1759, the British began construction of Crown Point for as a staging area. In 1775, though, the Green Mountain Boys took over at the beginning of the American Revolution. This actually played an important part in helping drive the British out of Boston Harbor. Later, the Fort was abandoned to the British and then for good it 1780. The ruins are basically an open air museum. You can walk along the coast of Lake Champlain, weaving in and out of the old limestone walls as you wish. 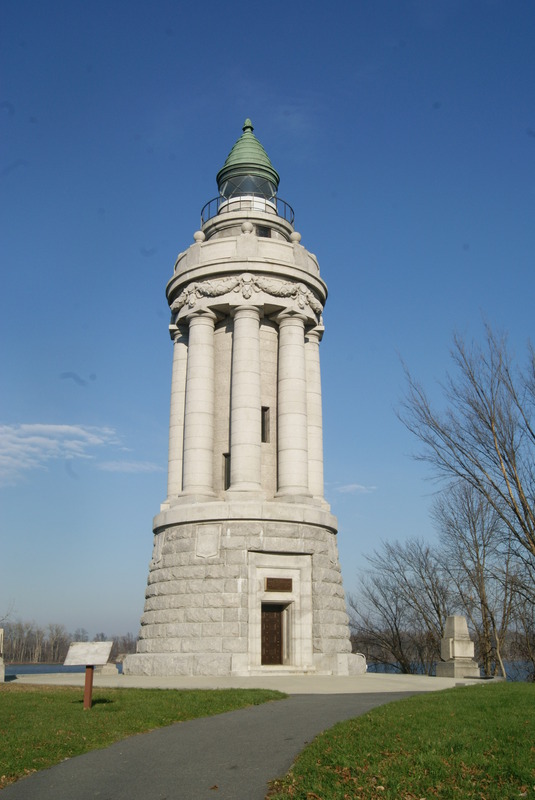 After we were finished, we walked down to the Champlain Memorial Lighthouse which memorializes Samuel Champlain’s 1609 voyage on Lake Champlain. You can see the lighthouse from the bridge, but it is much more commanding up close.